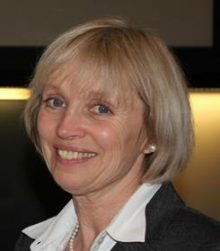 Dr. Valerie Preston, Professor, Department of Geography, York University and Principal Investigator, Migration and Resilience in Urban Canada delivered the keynote speech at the 4th Biennial Ottawa Immigration Forum on November 20, 2017. This Q&A expands on some of the key themes and content of this keynote speech. 1. What are some of the key challenges faced by newcomers to Canada? The challenges are really the same as always, but I’ll highlight three goals that can present challenges. Newcomers are challenged to find employment that is commensurate with their experience, so that they can support their families. Newcomers are generally seeking some level of social engagement, but we need to avoid being prescriptive about what type of social engagement works best for them. We want newcomers to participate in the community and have some sense of efficacy. We now realize that settlement is a very complicated process and that setting targets for these three goals is unrealistic. It’s unfair to be overly prescriptive towards newcomers and the settlement agencies that often are given the responsibility for helping newcomers to achieve these goals. For instance, some research in the Somali community in Ottawa, has shown that many of these newcomers are content to — at least for the short-term — concentrate on social interaction with their own community. We tend to be highly prescriptive about wanting interaction with newcomers with long-term Canadians, but this approach isn’t always the best option. Although the challenges for newcomers have remained much the same, our understanding of the variability of paths for achieving those goals has changed. 2. What are some of the key opportunities to ensuring newcomer success? We have to look at what works, by talking to newcomers who have been here awhile, the settlement service sector and newcomer communities. We know that bridging and training programs, along with mentoring, can work. These types of programs need to be universally available to all newcomers. They should be offered on a more flexible timetable. For instance, once immigrants become citizens, they don’t quality for many programs. We have seen situations where for instance middle aged immigrant women could still benefit from these programs, but they no longer qualify. At the beginning of their lives in Canada, they were too busy bringing up their children and working to take advantage of settlement services such as language training. We used to think if we had the right human capital settlement would be successful, but human capital is not a guarantee. When we look at the experience of privately sponsored Syrians, many who had part-time, “survival jobs”, we don’t know yet if this work experience will pay off in the long-term. These jobs have at least helped people to feel like they are moving towards their goals. We really need to look at every opportunity we have for attachment to the labour market, to assess its effects. I am by no means promoting survival jobs, but there are cases where perhaps for the well-supported newcomers, these jobs have been beneficial. There are subtle differences, and we still must be careful that people aren’t stuck in “bad jobs”, and that they can ultimately succeed through bridging support. 3. What are some of the emerging trends that you have seen in international migration and resilience? We have seen increasingly mixed flows, with migrants moving for complicated reasons. Some are displaced because of conflict, others are seeking better economic opportunities, and many have multiple motives. Immigration policies are cut and dry. When you look at the influx of Haitians who came through irregular border crossings last summer, you see a new migration reality. Many Haitians came to the US because of threats or the 2010 earthquake. They are part of a larger group of people with temporary status from several countries, who are currently residing in the United States, and for whom the US administration seems to be considering ending their temporary status. While some of the conditions that caused them to flee Haiti still prevail and things aren’t entirely resolved, they are still at risk of being deported. This issue of mixed flows and complicated reasons for migration is growing. It’s become increasingly difficult for states to manage these migrations, as was the case in Europe in 2016 and here in Canada in 2017. Public support for immigration is linked often with the ability to control a country’s borders. We need to question the relationship between being able to control our border and public support for immigration. Many argue that public support is high in Canada because we don’t generally see mass migrations across our borders. But the reality is that we need other, stronger, arguments in support of immigration. Policymakers and researchers needs to pay attention to the fact that in terms of settlement, people’s human capital is often a good predictor of the long-term outcomes of settlement, but not necessarily a predictor of their year by year realities. Migration and resilience are increasingly linked. Resilience is not an attribute, but rather it’s a process by which people put in place the necessary resources when they need them to overcome barriers, that depends on the context. We might replace the term resilience with resourcefulness. 4. What is the “Resilience Approach”? We begin by saying that migration and settlement are always disruptive, but we are interested in how all institutions can help migrants of all types achieve their goals, through this disruptive process. Our interest is in learning how institutions that have traditionally been involved with immigrants help them to overcome the inevitable barriers to settlement. We want to work with the broad scope of organizations that serve newcomers (eg school boards, etc). We also want to work more closely with employers and other labour market actors. As there most likely will not be increased settlement funding in the future, we also want to see what can be accomplished through informal institutions (eg. neighbourhood groups, religious organizations, etc.). 5. Beyond building individual resiliency, how can OLIP’s partners best support positive outcome at organization and system levels? The literature says that first and foremost, OLIP partners need to collaborate and strengthen their involvement with each other. If there’s a history of diverse organizations collaborating, then newcomers can deal much better with their circumstances. Each organization should also try to ensure the best organizational practices in place internally, in terms of hiring, promoting, and respecting diversity in their own organizations, etc. They need this secure base to work from, in order to best be able to collaborate with each other. 6. What are the best ways for OLIP’s partners to improve system capacity to contribute successfully to the strength and resilience of migrants as they settle into new lives in Ottawa? I am impressed with OLIP, as the partners are diverse and they clearly find the OLIP collaboration worthwhile. OLIP could be expanded to include more informal organizations. Ottawa is a different community than Toronto, where it’s really hard to get many employers, other than the largest ones, involved. OLIP has that advantage. 7. What are the most significant immigration trends in Ottawa-Gatineau? Immigrants now comprise a quarter of the population, even more so in Ottawa than Gatineau. About half are economic immigrants, who are an important resource in the metropolitan economy and deserve attention. 8. Are there specific ways that settlement and other service provider agencies should adapt to these local trends? What strikes me in Ottawa, is that because almost half of immigrants come under the economic class (and are well educated and fluent in English or French), bridging programs should be promoted. But we shouldn’t forget the other half of immigrants that still needs training programs. Settlement agencies do an amazing job providing information to private and public sector organizations. These organizations also need to hear what newcomers say about experiencing discrimination. Settlement agencies need to acknowledge and promote anti-racism policies. They can do this well as they have a lot of experience with educational initiatives, and conversations about sensitive and difficult topics. There’s often a reluctance to talk about racism and discrimination externally. We need to enforce Canadian legislation. We can also play a role by raising public awareness of newcomers’ experiences of racism and racist practices that can only be addressed at a systemic level. Settlement agencies know best what can be done. They hear the stories and can put a face to the victims of racism. They are well positioned to develop the practices needed to overcome systemic racism. 9. What can be learned from Canada’s recent resettlement of Syrian refugees? Are there specific examples of communities that implemented innovative approaches in settling and integrating Syrian refugees? It’s very early days to truly say, but what is clear already, is that settlement and other agencies are eager to innovate. The settlement of Syrian refugees showed us that we can make change. It’s a truly remarkable story. For example, in Winnipeg, housing sector policies and programs (such as the rent supplement program) expanded to increase the supply of affordable housing. Other provinces suspended residency requirements for social housing. There was a high degree of collaboration among funders, recipients of funding, and all levels of government that opened up a space for new ways of doing things. The financial resources were available, along with volunteers, donations and public/private sector support. Stakeholders collaborated in a variety of ways. In Ontario the Local Immigration Partnerships were crucial. In New Brunswick, emergency management committees were crucial. We need to see which approaches are the most effective over time and allow for regional differences. We also need to look at how volunteers were used differently and effectively across the country. In Toronto, they relied on volunteers to provide recreational programs in hotels. This unique initiative emerged from cooperation with the school boards. We should analyze the various forms of donations — cash, furniture, delivery services, etc. — which sometimes presented a real problem, but in other cases were crucial assets. There are cases where people and organizations provided their own trucks and others provided much needed storage space. Every community settled Syrian refugees slightly differently. In Ottawa, many of were grouped together in housing complexes. We should ask if this is the best way to go? We need to look closely at the variety of practices. 10. How can collaboration between academia and community organizations be facilitated? I am interested in vibrant and equitable collaborations, where academia and the community work together from the very beginning of a project. Part of the reason OLIP is successful, is that it’s an equitable partnership that has served everyone’s needs from the very beginning. Caroline Andrew from University of Ottawa has worked to ensure that the interests of community organizations, settlement sectors are heard from the beginning. Our aim is to maintain involvement that acknowledges participants’ areas of expertise, skills, capacities, and resources. When we decide what research to embark on, we try to ensure that community partners are interested and involved from the beginning which is crucial. In our partnership, government and NGOs were involved from the very beginning of our research, even when we decided whether to apply for funding. We try to ensure that the funding goes equitably to both sides.